Can’t decide what kitchenware you need for your new kitchen? This poster from Pop Chart Lab has over 200 tools, machines, and manipulators and could come in pretty handy for identifying every item you could have ever thought about. 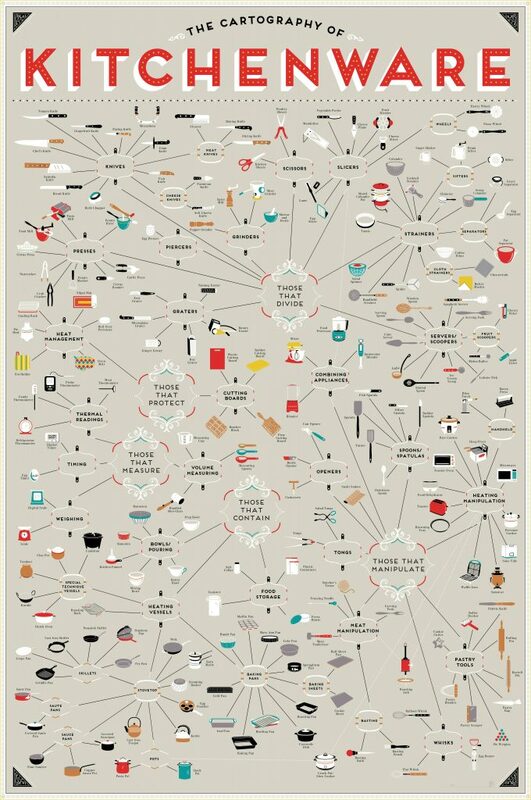 It’s a very cool looking map with kitchen items split into those items which divide, protect, measure, contain or manipulate. From slicers to strainers, graters to grinders.